Butterflies are one of nature's most beloved creations. Over the years many people have wondered at them, admired and studied them. In this beautifully written and comprehensive guide, Mary Kate Woodward provides detailed tips for attracting, supporting and enjoying the butterflies of the Pacific Northwest. Topics covered include favorite food plants and larval hosts, garden layout and design, a butterfly directory, sources of plants and seeds (resource guide), index of common names, and many other essentials to relax, observe and enjoy your butterfly garden. 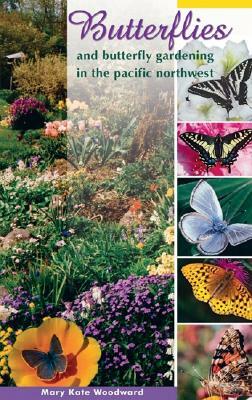 This is a concise and up-to-date directory of butterflies, each one beautifully photographed and illustrated, and the only book on butterfly gardening for the Pacific Northwest region.